With this task you can trigger a build or release pipeline from another pipeline within the same project or organization but also in another project or organization. Copy the token for later use. When you have installed the extension, you can start by altering a pipeline from where you want to trigger a different pipeline. Add a new task to the pipeline by clicking in “+” icon. 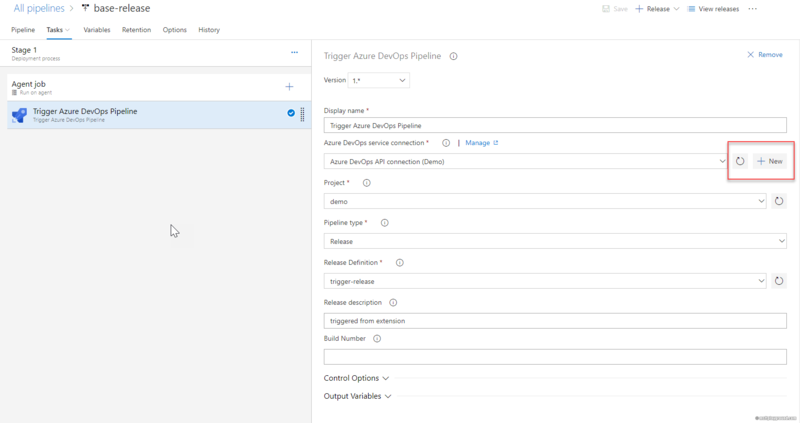 In the task window search for “Trigger” and select the task “Trigger Azure DevOps pipeline”. 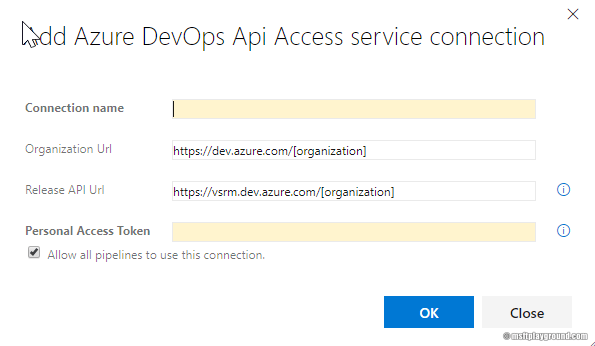 In the task click on “New” next to Azure DevOps Service connection to create a new connection. In the new service connection window fill in all the correct properties. Personal Access Token: The personal access token that needs to be used. In the task choose the right options. The field for the project, build and release definitions should be filled in for you. When you want to trigger a release for a specific version make sure to fill in the build number. When left empty the extension will use the latest version by default. Besides that, it is also possible to trigger a build for a specific branch. When you want to make use of that option make sure you fill in the “Branch” property.